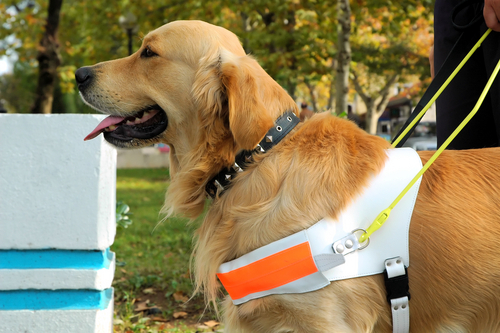 Assistance dogs are trained to help disabled people manage everyday tasks, making their lives easier. Not only are they life changers, they are lifesavers. Assistance Dogs UK work with eight assistance dog charities, each with the aim to improve disabled people’s lives and encourage independence. The charities work on key areas such as blindness, deafness and those with mobility issues. Dogs for Good - specialises in supporting parent/carers of children with Autism. 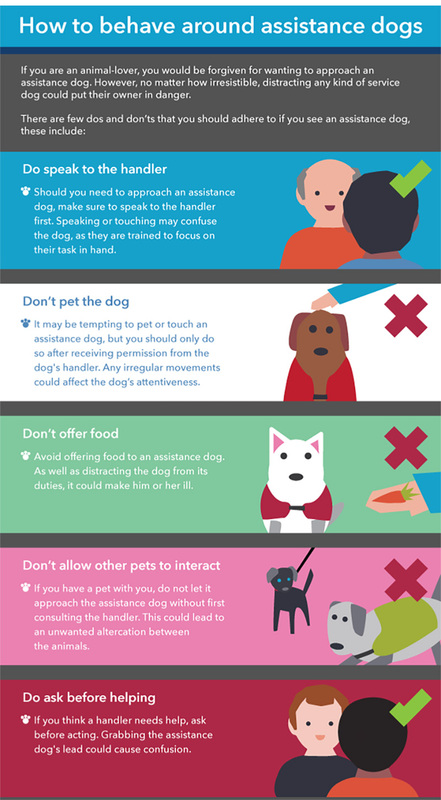 While assistance dogs are on the job, it’s crucial that you understand how to behave around them; the smallest of distractions could impair their ability to look after their handler. Hearing dogs can distinguish the difference between smoke alarms, door bells, alarm clocks and people shouting their owner’s name. Guide dogs are trained to judge spatial awareness so their owner doesn’t bump into objects. Autism assistance dogs can help children to be more engaged and independent. Medical detection dogs have special sniffing abilities; they can even detect one teaspoon of sugar in two Olympic-size swimming pools. Any dog, big or small, can be trained to assist a disabled person. The full infographic on assistance dogs can be found on the Co-op Insurance hub. Do you have an Assistance Dog for the Disabled? If so, what difference has it made to your life? What can you do now that you couldn't do before? Obtaining an assistance dog usually involves a long application process as the charities need to be sure that they match the right dog to the person they are helping. Help others by sharing your tips and experiences. And....let us know your stories about life with an assistance dog and the difference it has made to your life. Do you have some pictures or graphics of your dog you can share? Great! Click the button and find the first one on your computer. Select it and click on the button to choose it.